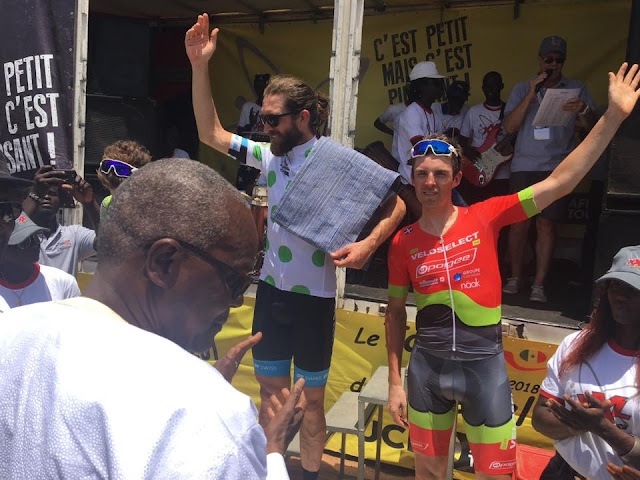 Veloselect-Apogee Rider William GoodFellow placed 3rd on stage 6 at teh Tour du senegal on Friday April 27,2018. The winner of the stage was Dan Craven from Nambia former rider of the Isreal Cycling Academy Team. Thanks et merci Pascal Herve for the awesome picture!